This would make the iPhone inaccessible for use with neckloops and t-coils. NOTE: this post refers to iTunes and Apple products (iPhone/iPad/iPod). It is not all-inclusive information for all smart phones or music players. Additionally, there are tons of lyric apps out there that are great to use. This is just the method I find the simplest. I love music. No, I LOVE music. And I really love being able to read the lyrics of a song while it’s playing. It makes it so much easier to understand what’s being sung, and to learn the song! When I was in high school, I used to make mix tapes and CDs. I’d also make my own CD sleeves/linear notes and print out all the lyrics for the songs that were on that mix. Nowadays, you can carry your entire music library with you on one tiny device. Nobody carries CDs and linear notes around anymore. Heck, nobody makes mix tapes anymore!! So now, If I’m playing a song on my iPhone and I want to see the words, I look them up on my phone’s browser, or use an alternate app to find them. These are both perfectly satisfactory means of finding lyrics, but you have to perform these motions every time you want to see the words. A bit of a hassle, eh? Recently, I was surfing around the vast internet and discovered a very cool, very simple lyric tool that has been around for AGES. For whatever reason, it’s not a well-known one. Well, at least to me. In case the rest of you are living under a rock just like me, here’s the coolest thing I’ve seen since they invented bread (and that’s saying a lot for me). 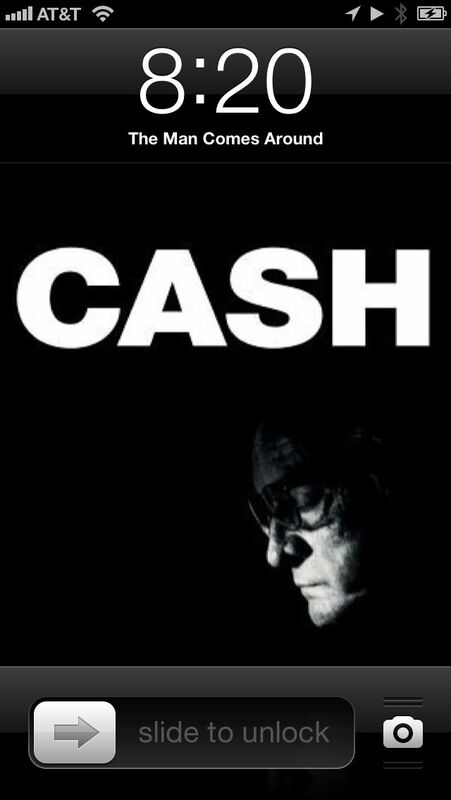 Let’s use a Johnny Cash song for an example. 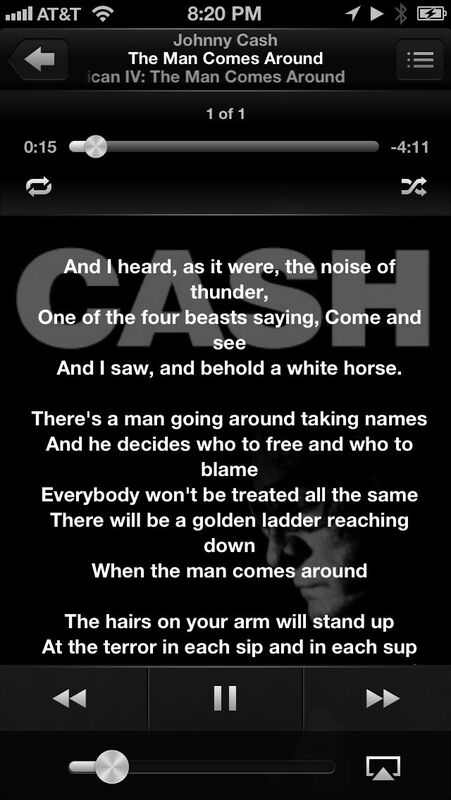 If you view the current playing song via the lockscreen of your iPhone, this is what you normally see [see figure 1]. This is good because it allows you to quickly view the album artwork and what song is playing. figure 1: lockscreen showing the song that is currently playing. If you unlock the iPhone and view the current song from the music app, this is where you’ll see the lyrics overlaying the album artwork [see figure 2]. In this screen, you can scroll up and down to read all the lyrics as the song plays. Isn’t this the COOLEST thing since sliced bread?? I tried to tell you! figure 2: viewing the current song in your music app – the lyrics overlay the album art. 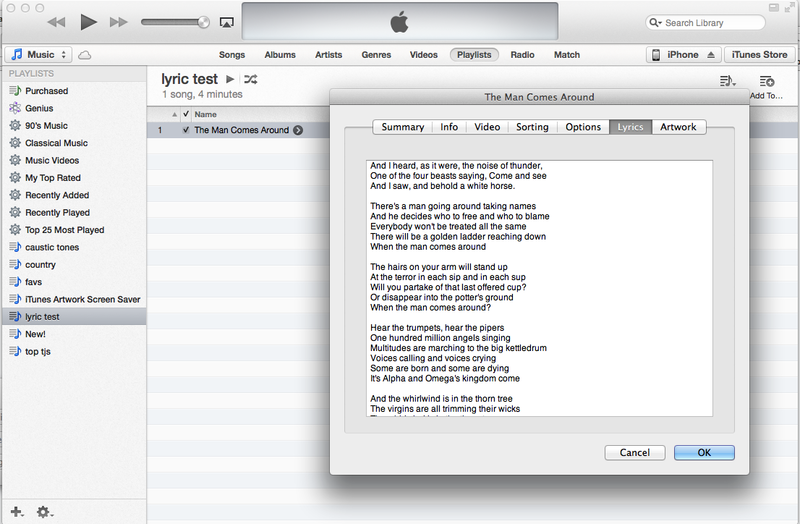 In iTunes, click once on the song you want to add lyrics to so it’s highlighted [see figure 3]. Go to File – Get Info (or click command+I on a Mac). You’ll see several different options in the dialogue box that opens. Go to the Lyrics panel and you’ll see a blank box. Here is where you can put the lyrics to the song (or any other information you want). I look up the song lyrics online and copy and paste them into this box [see figure 4]. Now, if you’re anything like me, you’ve got THOUSANDS of songs in iTunes. Who wants to sit there and manually copy and paste lyrics to a thousand songs?? Not me! I went and found an application that will grab lyrics for you, saving you a ton of time. 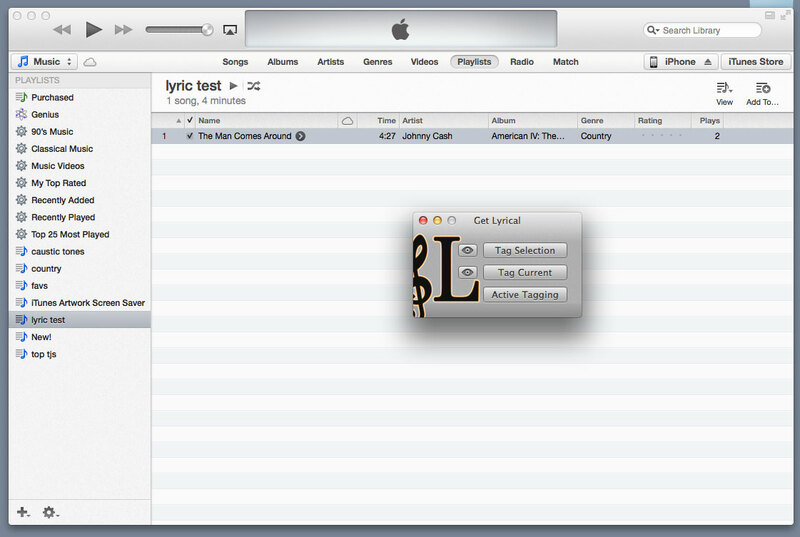 Get Lyrical is a free download that you can install and using with iTunes. 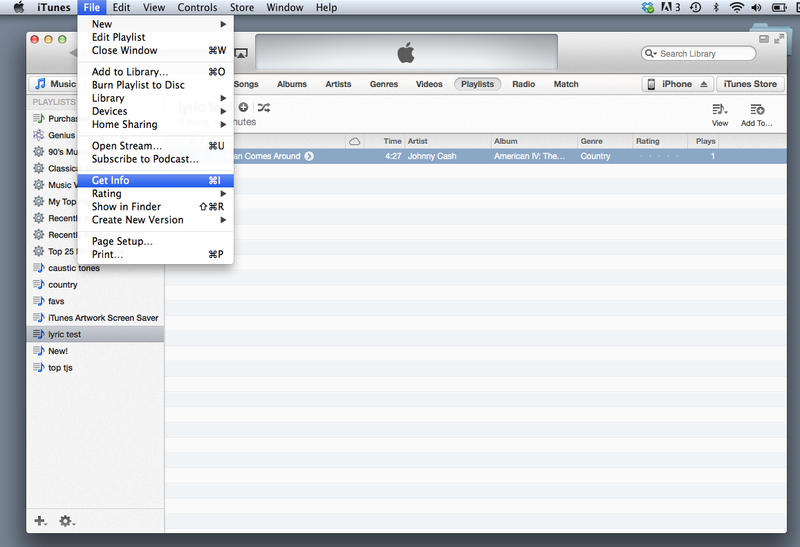 In order to make this work, you select a range of songs, or an album or playlist, in iTunes. Then, in Get Lyrical, you have a couple of options to tag a song with lyrics [see figure 5]. You can tag what you have selected, the current song playing, or set up an active tagging script that will tag songs as you play them. Whatever you prefer to do! See Get Lyrical‘s website for more information. Got a question or a comment? I’d love to hear it! Feel free to comment on this post, or drop me a line! Disclaimer: I was not asked to review any of the products or services in this post. This review and tutorial is based on my own experiences and observations. Additionally, technology is always changing and these applications/methods may change in the future. I am not responsible for any potential discrepancy in methodology. 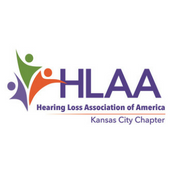 Visit our Calendar page to view all of our upcoming events and activities in the Kansas City area.